No matter how many terabytes your brand new computer sports, as a video editor, you are bound to run out of space pretty quickly. 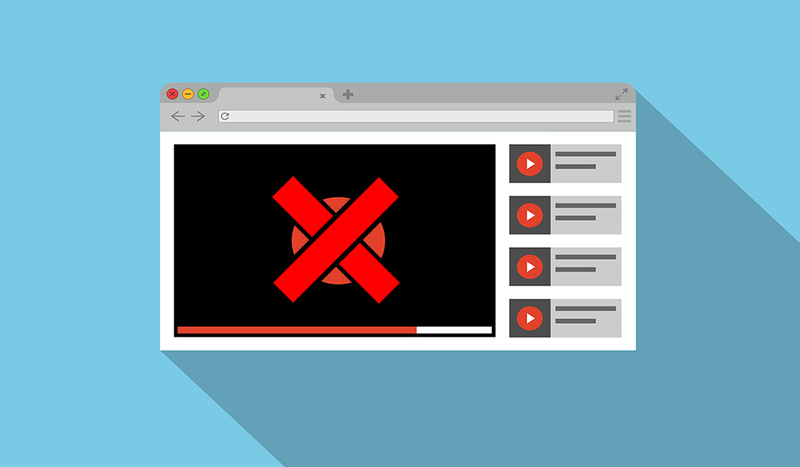 Video files add up — fast — and before you know it, you’ve got a full hard drive that’s slowing you down. 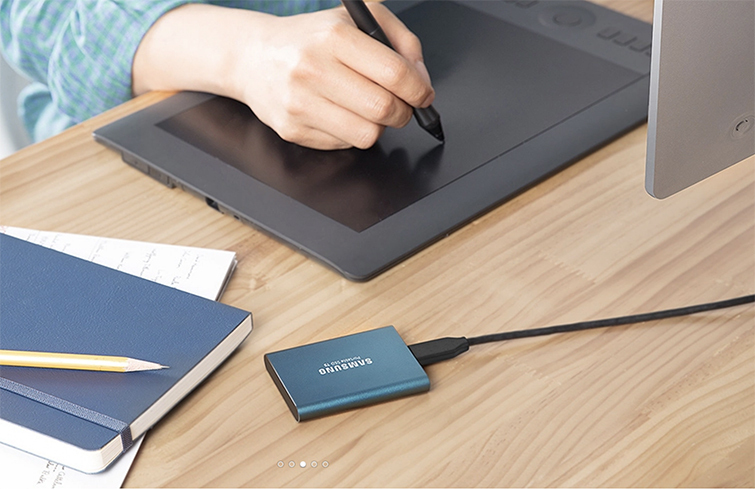 So we’ve compiled a list of the best hard drives in five different classes to help you pin down the right one for the job: Best Overall, Best SSD, Best Secured Hard Drive, Best Portable Drive, and Fastest Hard Drive. If you’ve got the need for speed, then there’s nothing quite like the G-Drive. 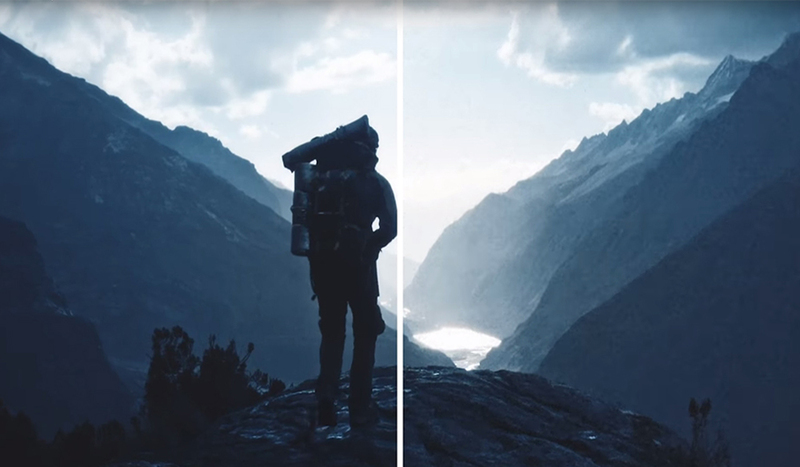 With an absolutely mind-blowing 2800 MB/s transfer rate, you can edit 8K footage directly off the drive — or even transfer a terabyte of footage in just seven minutes. The only downside of this drive is the $699 price tag, which is a bit steeper than the rest of the drives on this list. So if you edit high bit rate video, or if you’ve got some money to burn, the G-Drive Mobile Pro is a worthy choice. Some videographers and editors work with sensitive files that require protection. 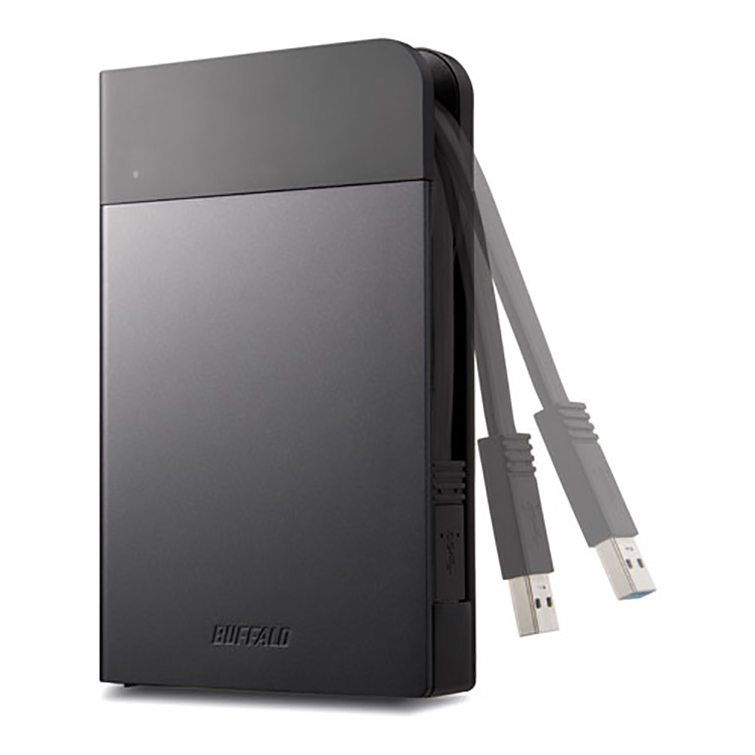 You can password-protect most drives in some way, but the MiniStation Extreme makes security a whole lot easier. It comes equipped with a NFC reader and a unique NFC card that unlocks the drive when it’s near, much like a key fob for a locked gate. Are you a videographer on the go who needs a drive as portable and rugged as a GoPro? 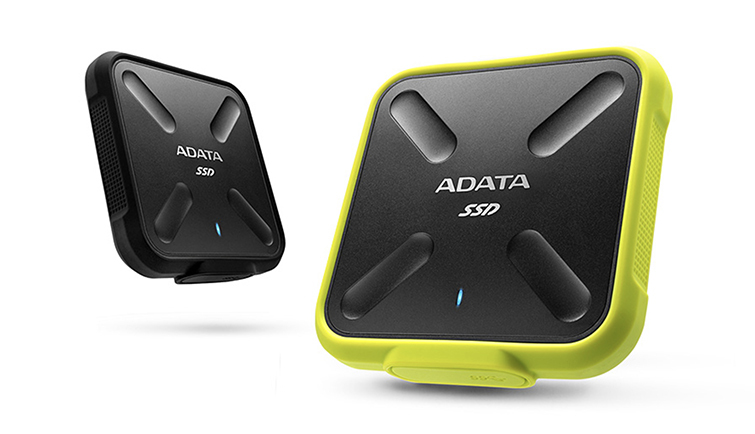 Then the ADATA SD700 is the option for you. 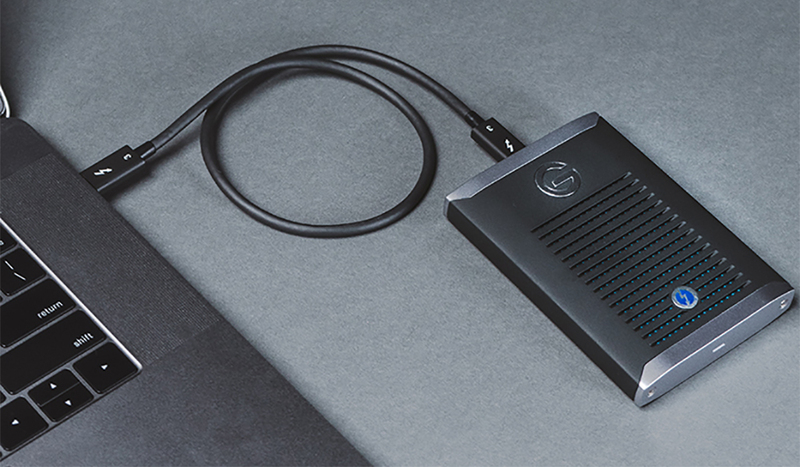 This is one of the smallest external hard drives on the market, and it’s incredibly rated at IP68 dust/water proof — which means it can survive in up to 1.5m of water for up to 60 minutes. I know you aren’t planning on going swimming with your hard drive anytime soon, but it’s a super handy feature if you’re working in less-than-favorable conditions. If you haven’t really looked into the difference between solid state drives and HDDs, here’s the quick run-down: HDDs rely on a disk to read and write, which is easily breakable and runs at moderately slow speeds. SSDs, on the other hand, have no moving parts, much like a flash drive. SSDs access information instantaneously, since the drive doesn’t have to find the information on the disk. Samsung has been at the forefront of SSD technology, and the computer community has trusted their solid state drives for quite some time. 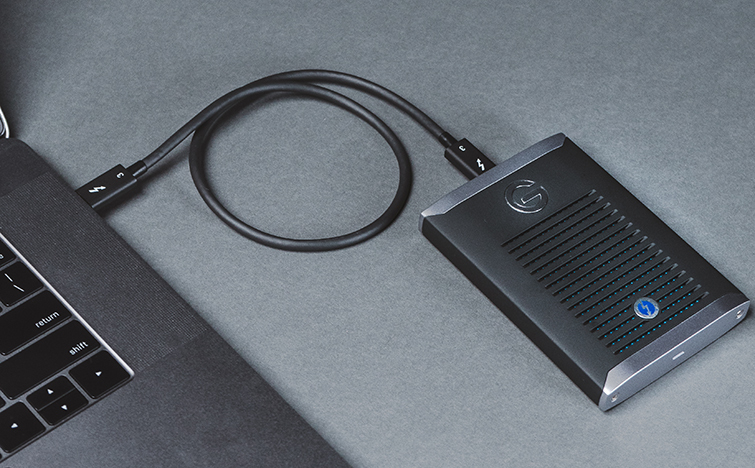 This external drive is no exception — it’s incredibly portable, and its sleek metal frame looks pretty damn good sitting next to your laptop. 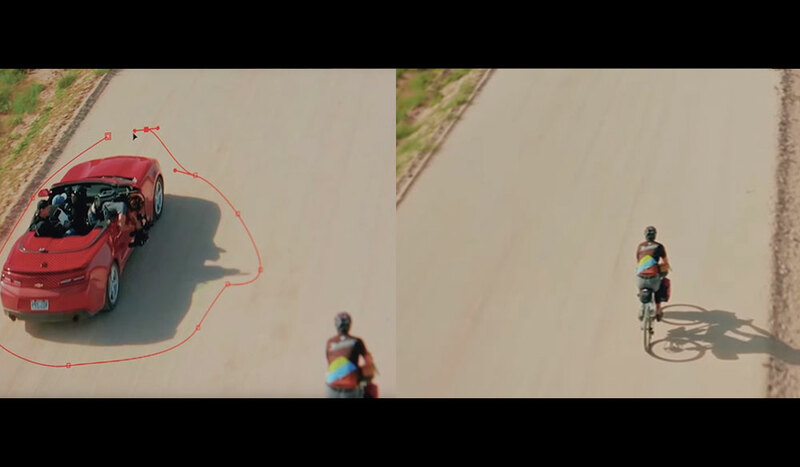 You’ve seen it before — the tell-tale orange-bordered drive sitting on most filmmakers’ desks at this very moment. It’s been the choice of editors and videographers alike for years, and for good reason — it’s reasonably priced, it’s fast, and it’s rugged. It’s my go-to drive when ingesting footage from my cameras. It also comes with an SD card reader that you can use to purge footage on set. Yes, it’s still a HDD, so the speed can’t measure up to a SSD, but it’s good enough for editing 4K footage directly. I’d say the reason it’s been a choice of filmmakers everywhere is the capacity of the Rugged RAID pro. Up to 4TB of storage will hold over a year’s worth of footage for a normal DSLR shooter. If you want to go with a tried-and-true hard drive, the new RAID pro is another excellent choice. 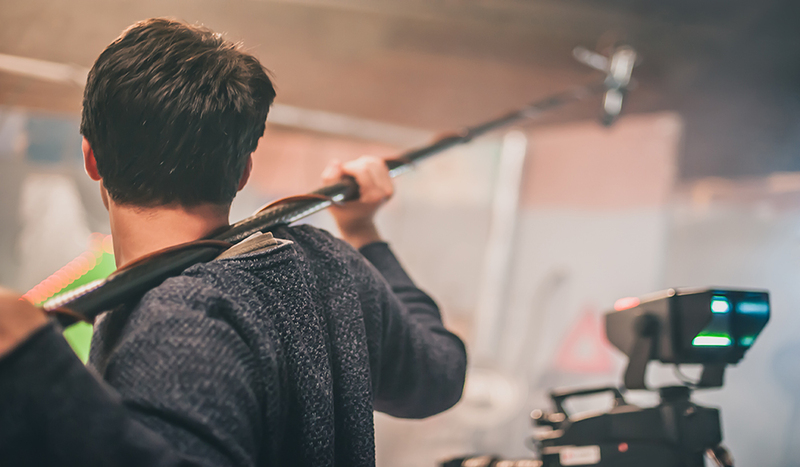 Looking for more articles on filmmaking gear? Check these out.